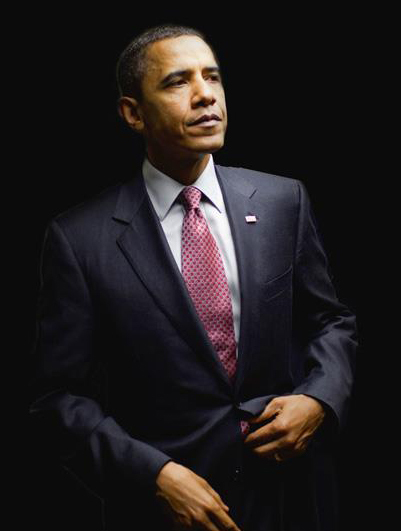 The Obama Image: Illusion or Reality? “The very media, founded on communications and automata, especially television, can communicate illusion as well as reality, and that is all right as long as we know the difference.” Dr. William O. Baker, patriot genius and former leader of research at Bell Labs from a speech at Northwestern University, July 12, 1976. Some folks in the mainstream media, which was largely responsible for building up Barack Obama from nothing and then provided cover for him for so long while he was hacking away at the freedoms and institutions of our great country are beginning to realize Obama is a threat to them. Join the club. But what took you so long? Attkisson is a former Emmy award-winning, Washington-based correspondent for CBS News. “This is the most transparent administration in history, and I can document how that is the case.” – Barack Obama February, 2013, Google’s Fireside Hangout. “I would say it is the most secretive White House that I have ever been involved in covering, and that includes — I spent 22 years of my career in Washington and covered presidents from President Reagan on up through now, and I was Washington bureau chief of the Times during George W. Bush’s first term. While I’m glad some in the media are finally waking up to the stonewalling, the lies and the deceit of this administration, I‘m afraid a lot of damage has already been done to our country. The American people need to wake up too before it’s too late. More and more African-Americans are beginning to realize they have been lied to by the Democrat party. I am sure that some on the political left will argue that this video was funded by the Koch brothers or come up with some other delusional explanation, but the producer of the video, Jeremy Segal of RebelPundit.com says that these Black community leaders reached out to conservatives, not the other way around. They did so because their voices were being ignored by the mainstream press. As anyone who pays attention knows, most of the people who control the major TV networks and news organizations have been big supporters of President Obama and the Democrats. They are not honestly reporting what is going on in the black urban areas because they know it does not put Democrats in a good light. You have done great work Mr. Segal by covering what the mainstream media will not report. Although I agree with much that is said on this video, one idea I disagree with is that governments needs to do more to help Black people. This is the attitude that has hurt so many Blacks in the first place. It implies governments favoring one group over another. It’s an idea that tribalizes Americans into groups and makes us forget we are all Americans first. Politicians have an interest in doing this because it helps them win elections. Don’t vote for politicians that try to divide us. Conservatism (not necessarily Republicans) will help all Americans including Blacks and other minorities build a better future. The false promises of big government liberalism will be the end of all of us. P.S. Hey Al Sharpton, Jesse Jackson, Julian Bond and others who benefit from the race grievance industry, more and more Blacks are on to you. Watch the video by clicking the picture below. 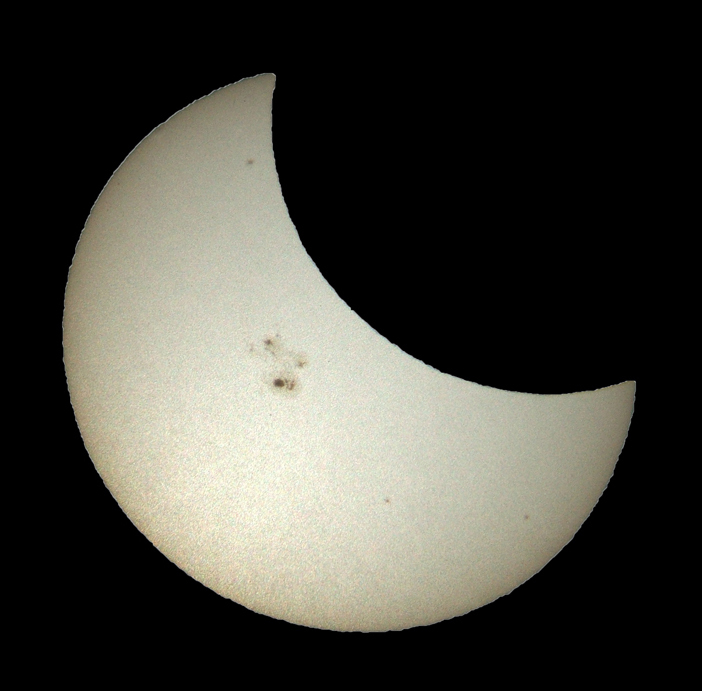 Here is a photo I took recently of a partial solar eclipse. This happened when the moon came between the Earth and the Sun. The photo also shows a massive sunspot (12192), which was about the size of the planet Jupiter. 12192 is still active and is about to rotate out of view as the Sun spins on its axis. A sunspot this large has not been seen since at least 2003. I took the photo by projecting the Sun’s image from my telescope onto a screen. Of course, this was taken during daylight so it should be obvious that I photo-shopped out the distractions in the image and replaced them with the black space you see surrounding the Sun. The Sun, now a “Yellow Dwarf,” formed about 4.567 billion years ago from the gravitational collapse of a region within a large molecular cloud. Most of the matter gathered in the center, whereas the rest flattened into an orbiting disk that would become our Solar System. The Sun contains 99.86% of the mass in our Solar System and has 333,060 X the mass of the Earth. Its surface temperature is approx. 9,941°F. 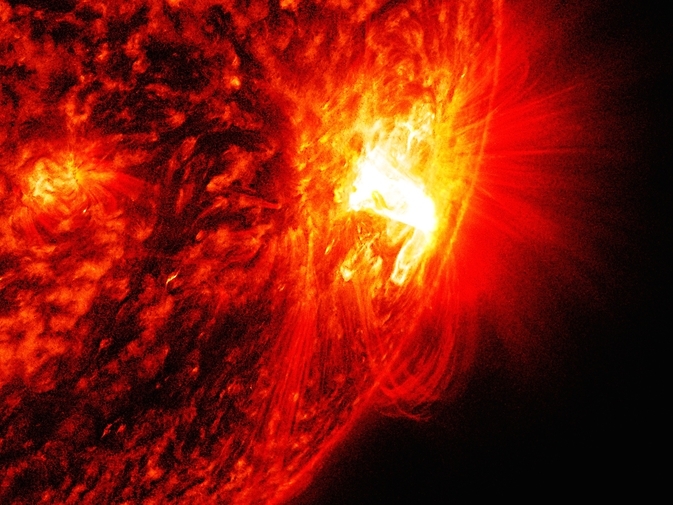 About 960,000 Earths could fit inside the Sun. The Earth is 93 million miles from the Sun and light from the Sun takes eight minutes to reach Earth. The Sun travels 137 miles per second through space. It is 24,000-26,000 light years from the galactic center and takes about 250 million years to complete an orbit around the center of the Milky Way. The Sun rotates on its axis much like the Earth, but unlike Earth and other solid objects, the entire Sun doesn’t rotate at the same rate. That’s because the Sun is a giant ball of gas and plasma. At its equator, the Sun completes one rotation about every 24 1/2 Earth days, at its poles a full rotation takes about 36 days. Our current solar cycle, “Solar Cycle 24” began on January 4, 2008 and is the 24th solar cycle since 1755, when extensive recording of solar sunspot activity began. It is on track to be the solar cycle with the lowest recorded sunspot activity since accurate records began in 1750. 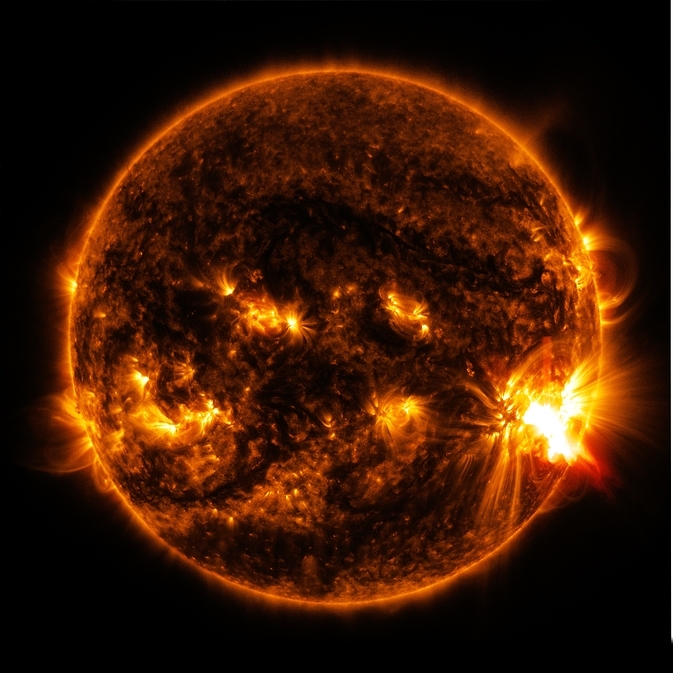 “The solar cycle (or solar magnetic activity cycle) is the periodic change in the Sun‘s activity (including changes in the levels of solar radiation and ejection of solar material) and appearance (visible in changes in the number of sunspots, flares, and other visible manifestations). Solar cycles have an average duration of about 11 years. They have been observed (by changes in the sun’s appearance and by changes seen on Earth, such as auroras) for hundreds of years. A group calling itself the Freedom Socialist Party has been in the news lately. This prompted me to look into FSP, its values and its goals. This group idolizes ruthless mass murdering communists such as Josef Stalin, Mao Zedong, and Russian revolutionaries Lenin and Trotsky. Why should millions of peace loving, hard-working Americans have a problem with this group of fanatics? Let’s look at what kind of person their hero Trotsky was. Ukranian Victims of Socialist Utopian Dreams. 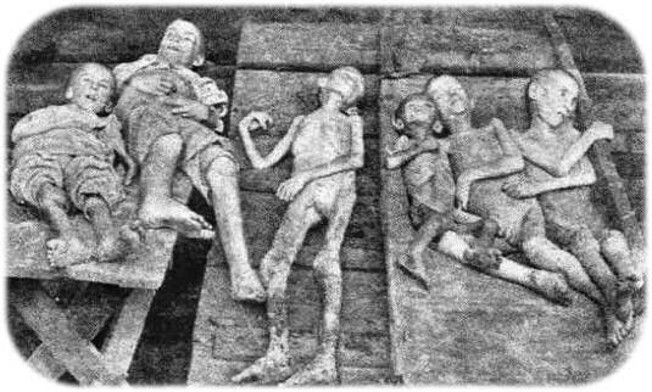 The murder of millions of Ukranian peasants in 1932-33 by Stalin’s Soviet regime has become widely known as the “Holodomor” , which means “to kill by means of starvation.” Of course, the policies that led to this humanitarian catastrophe were done in the name of “progress” for the “good” of the communist motherland. A group that looks to Leon Trotsky for inspiration is a group that is out to destroy America as we know it. The Freedom Socialist Party is run by fanatics who believe in suppressing free speech, and spilling the blood of middle class and wealthy Americans for their utopian dreams. They wish to tear down the fabric of American society and replace it with something else. These misguided people are the ideological offspring of history’s most ruthless killers. They are truly enemies within. [i] p. 191, Critical Companion to the Russian Revolution, 1914-1921; Edited by Edward Acton, V. I͡u. Cherni͡aev, William G. Rosenberg; Indiana University Press, 1997. 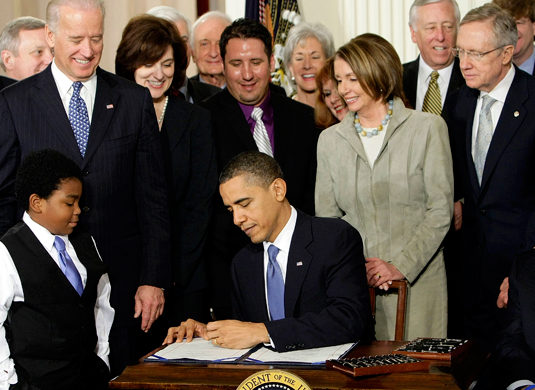 President Obama signs the mis-named Affordable Care Act in 2010. Many of these happy Democrats may not be so happy after the upcoming election. President Obama recently explained that although he is not on the ballot in November, the election will be a referendum on his policies. This thought made many Democrats on the campaign trail cringe. They know that Obama’s popularity with the American people is near an all-time low and they are trying their best not to associate with him (unless it is at a closed door fundraiser, of course). Several days ago, Alison Grimes, a Kentucky Democrat running for the Senate, repeatedly refused to admit that she had voted for Barack Obama. How entertaining was that? But in many ways Obama was right; this election will be about him, about his policies, about the direction this country is heading. Why is America in decline? As long as the Progressive Left, which controls the modern Democrat party, stays in power, the country will continue to decline. The Progressive Left’s ideology is severely flawed and therefore can never succeed. Any world view that denies human nature, that denies the limits of government, that denies the laws of economics can never govern effectively. The Democrats in and out of Congress that have supported Barack Obama and his policies will hopefully get what they deserve come Election Day. If Obama really believes the upcoming election will be a referendum on his policies, will he change course if his party gets another shellacking like it did in 2010? What a silly question! Arrogance knows no self-reflection, it merely blames others for its failures. Just ask President Obama’s Director of National Intelligence, James Clapper.